Phuntsok Namgyal, Sale tax Officer, Leh: Goods & Services tax was implemented in the country on July 1, 2017, except Jammu & Kashmir state. Like rest part of Jammu & Kashmir state, Ladakh region also comes under the ambit of Goods & Services Tax from July 8 2017, with the passing of Jammu & Kashmir Goods & Services Tax Act, 2017 by the state legislature and received the assent of the Governor on July 7, 2017 along with Central GST Acts. Initially, there was a general misconception with respect to the implementation of GST, especially amongst the trader community of Ladakh. Which gets settled down with the passage of time and presently more and more businessman voluntarily gets themselves registered under the provisions of GST Act to avail the benefits and privileges as rendered under the GST Act. A registered taxable person can avail many benefits like input tax credit available as a setoff against their output tax liability on the national level, subsuming of bundles of central and states mainly central excise duties, service tax, state VAT, Entry tax etc has reduced the tax compliance burden on the traders. This reduces the purchase cost and ultimately, the consumer has to pay less for the purchase of goods and services received. With the abolishment of check posts post GST, there is a seamless flow of trade throughout the country and it was analyzed that there may be a reduction in transport time by 30% to 40%. Obviously, it might have benefited the traders of Ladakh as about 90% of logistics in Ladakh moves through road. Under GST great relief has been given to small businessmen, by fixing threshold limit on the annual turnover for getting registration under GST except those who were required to get compulsory registration; it is â‚¹ 20 Lakh in case of J&K. Besides, there is Composition Scheme available to those specified businessmen, whose annual turnover is below â‚¹ 1.5 Cr, earlier it was â‚¹ 50 lakh. Composition taxable person has the option to pay GST at a minimum fix rate on his turnover with no input tax credit available for offset, which at present is 1% for trader, 2% for manufacturer and 5% for restaurant owners and has to file only 5 returns (four quarterly & one annual) in a financial year. So, one has to be cautious in fulfilling all the legal obligations that are enforced for the time being to avoid any unfavourable consequences. Fewer section of the business community in Ladakh still has some confusion regarding area based GST exemption. To clear this doubt there is no such exemption granted by the government till date and in my opinion, as of now, there is no such area specific exemption made available under the provisions of GST Act to grant an exemption to a particular area or region. This might be the intention of the lawmaker to promote the real spirit of GST i.e. “One Nation One Tax”. However, there is a provision with respect to waiving off the penalty and the late fee payable under specified provisions of the GST Act. Section 128 empowers the Government on the recommendation of the GST council to waive in part or full any penalty or late fee payable under specified sections under circumstances that as may be specified. • The vote of all the State Government taken together shall have a weightage of 2/3 of the total vote cast, in the meeting. Goods and Services Tax was implemented with the main motive of “One Nation One Tax” and a few instances of its positive effect are enumerated below. • Simpler tax system-fewer tax rates (Simple & Good Tax). • Ease of doing businesses. • Reduction in the multiplicity of taxes. • Mitigation of cascading effect or double taxation. • Development of a common National Market. • Uniform price throughout the country. • Transparency in the taxation system. • Boost to export/manufacturing activity and increase GDP growth. Goods & Services Tax is biggest ever reforms in indirect taxation system in the country post-independence, whereby many central and States taxes were subsumed and dual GST was introduced. India is a federal country where both the center and the States have been assigned the power to levy and collect taxes through appropriate legislation, as per Article 246 of the Constitution, Parliament has exclusive powers to make laws in respect of matters given in Union List (List I of the Seventh Schedule) and state government has the exclusive jurisdiction to legislate on the matters containing in the State List (List II of the Seventh Schedule). In respect of Concurrent List (List III of the Seventh Schedule), both central government and state government have concurrent powers to legislate. Before the advent of GST, the most important source of indirect tax revenue for the Union customs duty, Central Excise duty, Service Tax etc. On the other side, the most important source of indirect tax revenue for the states was a tax on sale and purchase, Excise duty on alcoholic liquors, opium and narcotics, taxes on luxuries, entertainments, amusements, betting and gambling, octroi and entry tax etc. Since GST subsumed many of the central and state taxes. Therefore, a dual GST is required to fulfill the constitutional requirement of fiscal federalism. For which the Constitution of India has been amended by Constitutional (one hundred and first Amendment Act, 2016) and inserted a new Article 246A under the Constitution of India, which simultaneously empowers both the centre and the state to levy and collect under GST. 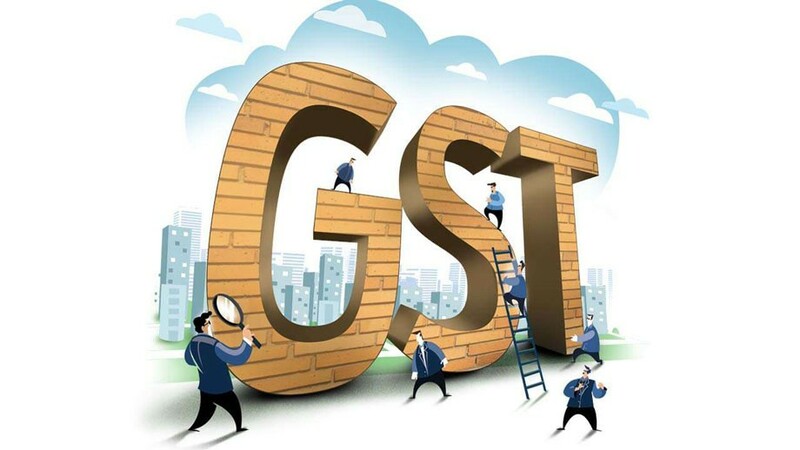 GST is the best ever indirect tax reforms post-independence, because of its transparent character and easy to administer and to make it a big success at national level, robust IT and internet connectivity is the backbone of the GST. Therefore, these basic requirements are the need of the hour for its smooth implementation and should be made available to every nook and corner of the country on priority basis especially to far-flung areas of the country like Ladakh, where internet connectivity is very poor and unreliable which leads to inevitable payment of late fee for no fault on the part of taxpayer. Samstan Dolma, Advocate: If we look back one year ago the biggest tax reform in the history created massive chaos across the country and it was the biggest talk among the common people and the media. GST rollout was not so easy even for the government because India is a very big country where the existence of unorganised sector is huge and the government wanted to have control over these sectors to improve the GDP of the country. With the introduction of GST more and smaller business are entering in the organised sector as evident from the GST registration. The implementation of the historic goods and service tax (GST) has completed a year with mixed reviews. The people of Ladakh are also now adopting the new tax regime after initial hiccups. The misconception towards GST among the common people is one of the most critical aspects which how tax benefit under GST can be extended to common people and the business dealing with unregistered service providers. The government must ensure better clarity on how tax benefit under GST. Many small business owners, independent consultants, and freelancers have an annual turnover of less than â‚¹ 20 lakh and are therefore not required to register with goods and service tax network (GSTN). Organisations employing the service of such unregistered vendors end up paying reverse GST on their end, but often don’t avail the input credit because of the misconception that the tax benefits don’t extend to such transaction. In order for GST to be truly effective, the government needs to deploy more proactive market focused measure to eliminate such misconception about GST among the common people. If we talk about positive aspects of GST, the main reason to implement GST is to abolish the cascading effect on tax. A product on which excise duty is paid can also be liable for VAT. Suppose a product A is manufactured in a factory. As soon as it releases from the factory, excise duty has to be paid to the central government. When that product A is sold in the same state then VAT has to be paid to state government. Also, no credit on excise duty paid can be taken against output VAT. This is termed as cascading effect since the double tax is levied on the same product. GST is being introduced to create a common market across states, not only to avoid an enfeebled effect of indirect tax but also to improve tax compliance. GST will lead a more transparent and neutral manner to raise revenue. Price reduction as a credit of input tax is available against output tax. Moreover, it will reduce fraud and improve the administrative efficiency of the tax authorities. Negative aspects of GST is being referred to as a single taxation system but in reality, it is a dual tax in which state and centre both collects separate tax on a single transaction of sale and service. GST will, of course, benefit the common consumer, maybe not in each and every way, but in most. An economic reform takes much time to reach its target since the behaviour of the consumer isn’t same all over the nation. GST helps to reduce a general increase in price level, which shows a huge influence on a common man’s life. It reduces the tax burden by removing the tax on tax. It’s understood that the design of GST itself will lead to substantial benefits accruing to end consumers. GST is a single tax on the supply of goods and service, right from manufacturer to the consumer. Lowering tax burdens under GST mechanism, the cost of tax that consumers have to bear will be certain, and GST would reduce the average tax burdens on the consumers. • The government must ensure better clarity on how tax benefit under GST. • The government needs to deploy more proactive market focused measure to eliminate misconception among people against GST. • GST reduces a general increase in price level, which shows a huge influence on a common man’s life so it should be welcomed. • It is introduced to create a common market across states.